See that? That would be a listing for the Motorola Nexus 6, already on AT&T’s site before Google has officially announced the phone. 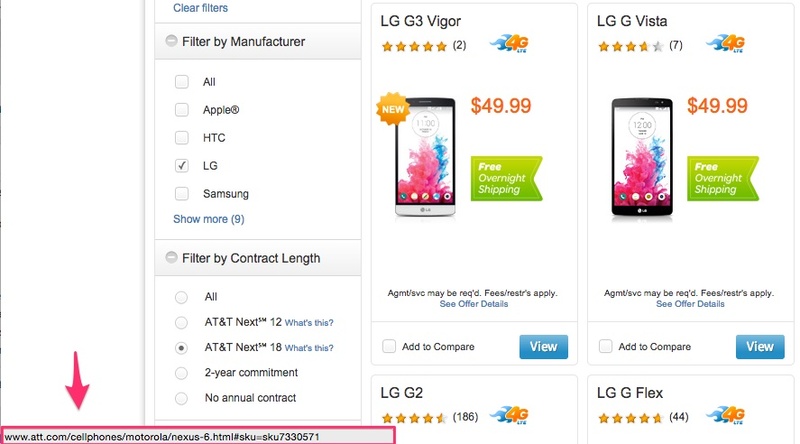 Now, before you freak out about the price and the fact that AT&T is using the LG G Vista as a placeholder, just realize that we are only talking about the name of the phone showing up on AT&T site as being important. That price is likely not the price of the Nexus 6 on-contract. In fact, that is the price of the LG G Vista, so since AT&T is using an image of that phone as a placeholder, the chances of them carrying over the price as well are pretty good. It was probably a cut and paste job of phone listings to get something going for the Nexus 6 listing. Again, the price means nothing. 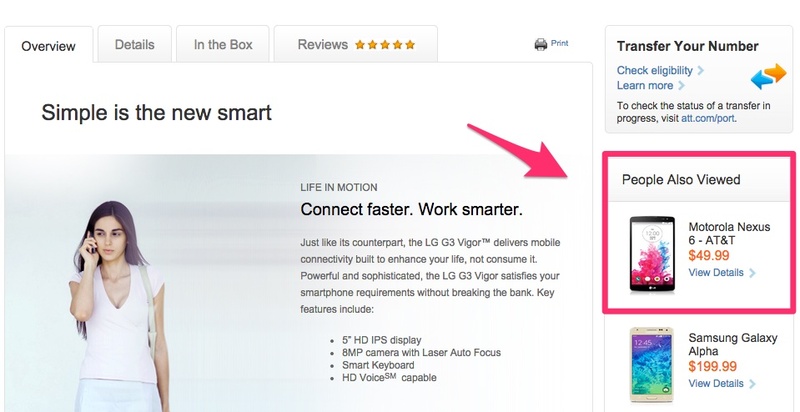 With that said, AT&T has essentially killed off the listing for the LG G Vista to prepare for the Nexus 6. If you cruise through the maze of screens to get to a listing of LG phones and click on the LG G Vista, you won’t find the LG G Vista. No sir, you will be redirected to a page that will eventually be for the Nexus 6, but that, for now, redirects to a listing of Motorola phones. Check the image below, which is the URL currently set for the G Vista, as seen as I hover over the listing of it. Yep, that says “/motorola/nexus-6.html” as clear as possible. Also, if you cruise through to the LG G3 Vigor listing on AT&T’s site, that is where you see the image at the top of this post, which actually says “Motorola Nexus 6” in the recently viewed section. I don’t want to call it a “confirmation,” but how much more info do you need? AT&T has clearly begun work on the listing for the Nexus 6 on their site because they plan to sell the Nexus 6. While we still don’t know what the price will be, I think it’s obvious that they are going to carry the phone. Today is going to be fun.